Over 100 000 people have signed a petition to have Justin Bieber deported back to Canada – and apparently, the US government is taking this seriously. Sort of. The White House is duty-bound to review a petition that gathers more than 100 000 signatures within 30 days, and the Bieber petition has reached 102 000 – in just six days. "He is not only threatening the safety of our people, but he is also a terrible influence on our nation's youth.We the people would like to remove Justin Bieber from our society." The campaign comes after the Beauty and A Beat hitmaker was arrested last week in Miami for driving under the influence (DUI), driving with an expired license and resisting arrest. Meanwhile, as well as facing legal problems in Miami, Justin could also potentially face felony charges after an incident where one of his neighbours' homes was egged, causing $20 000 of damage. Officers for the Los Angeles County Sheriff's department said they will soon be submitting evidence to the District Attorney, who will then decide whether to press charges. 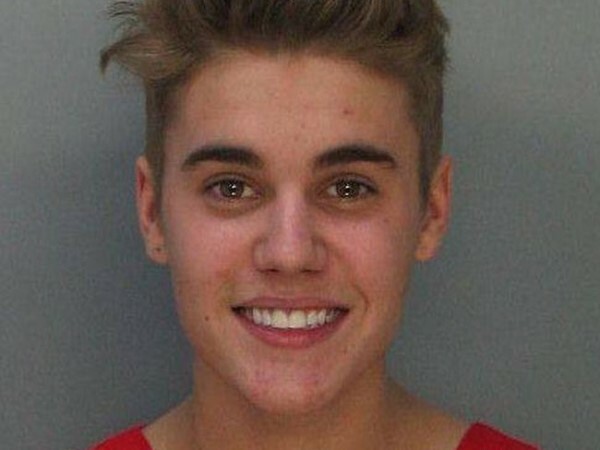 But Justin may not be all that keen to head home, where even more legal problems await him. This morning he was charged with assaulting a limo driver in Toronto in December.